Villa Nora sits atop the exclusive community of The Ungasan Clifftop Resort, offering its guests a one-of-kind luxury experience. This spot clearly represents the idyllic Indonesian escape with a fantastic view of the Indian Ocean from above. Allowing a maximum fifteen guest occupancy and seventy for special functions, the Villa depicts every luxury traveler’s dream of a perfect lavish getaway. While lodging at Villa Nora, guests are granted VIP access to the amenities of the Ungasan Estate. There are tennis courts, a putting green, gym, spa, restaurant, and the infamous Sunday’s Beach Club. The manicured gardens of the resort creates a stunning place for morning exercises or yoga session. A dedicated team of a chef, butler, and chauffeur runs a full-service operation with guaranteed 24-hour security. The spacious but minimalist design of Villa Nora creates free movement. Sliding wooden and glass doors, high ceiling, furnished with lavish furniture and art pieces creates a highly sophisticated, homey-feel. Fall in love with the refined style of the dining area, the well-equipped kitchen, and the relaxing living room. 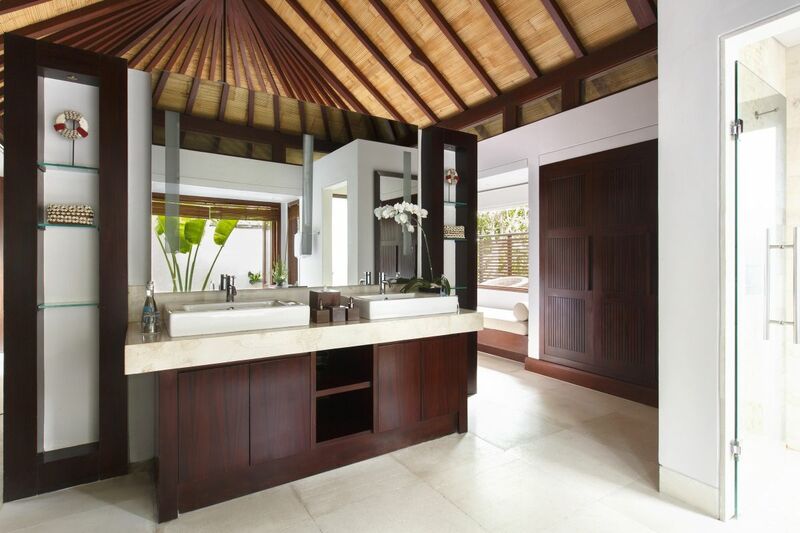 Every suite prides itself with a bathroom and a private, furnished deck. Air conditioning, ceiling fans, iPod dock, flat-screen TV, huge wardrobe, and a mini bar are the features to find in each room. Sleep in comfort in each room’s King-sized bed layered with soft, white sheets. A plunge pool in the master suite with an amazing ocean view is perfect for some downtime with a cocktail and a book. An ocean of adventure awaits tourists. From the sacred Uluwatu Temple to immersing into the culture-rich Garuda Wisnu Kencana, a thrilling surfing session, or a challenging game at the nearby Kuta Golf course. The Balinese escapade gets more and more exciting with every unique experience catered to every adventure-seeking wanderlust. 4 hours nanny service – 1 nanny maximum 2 kids per villa from 2 years above. Product Description: Villa Nora sits atop the exclusive community of The Ungasan Clifftop Resort, offering its guests a one-of-kind luxury experience. This spot clearly represents the idyllic Indonesian escape with a fantastic view of the Indian Ocean from above. Send an inquiry about Villa Nora, Bali.